When you think about Niagara, Canada, what is the first thing that comes to mind? Perhaps, it’s Niagara Falls, one of the world’s natural wonders or the exciting night life of casinos and live theatre. For me, the Niagara region holds a special place in my heart. John proposed to me at Niagara Falls in October 2009. We’ve been back a few times since then. It’s within a reasonable driving distance to our home and makes for a quick, convenient getaway for couples and families! Spring is an excellent time to visit Niagara, Canada. With the warm weather, it’s a beautiful spot to enjoy the outdoors after being cooped up inside all winter. If you’re planning a family getaway this spring, you should seriously consider a visit! Niagara has so much to offer families from scenic bike trails, historic sites and of course, the amazing beauty of Niagara Falls. There are countless ways to get out and play! Our family is looking to visit this spring and I was researching fun family activities that we could do during a visit. Turns out, there are quite a few! I’ve made a list of my top 8 picks perfect for families to do this Spring in Niagara, Canada. 1. Spend the day cycling on one of the many scenic bike trails. Get some exercise and enjoy the gorgeous scenery of the region. I recommend the Niagara River Recreational Trail where you’ll bike along the Niagara River and vineyards. Choose one of the four scenic sections or if you’re more adventurous, try a few! Each section takes about 1 to 2 hours to complete. 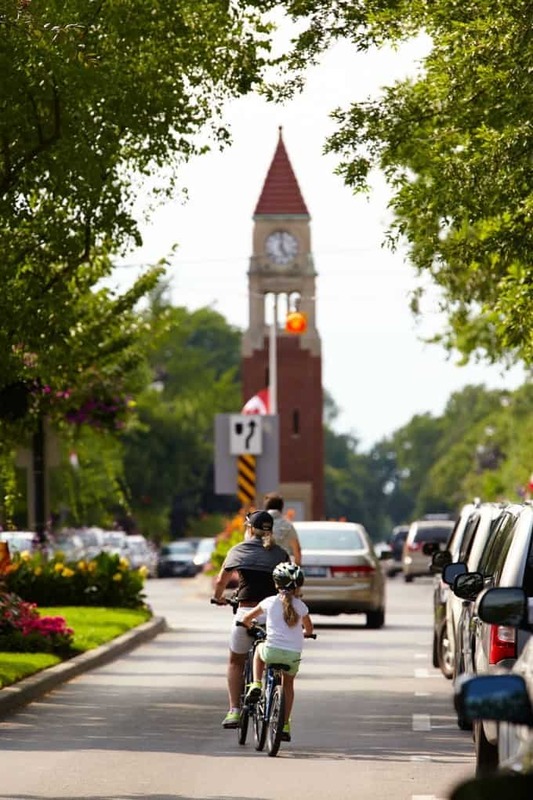 The Friendship Trail is another great option for cycling families. It runs 16 km along the north shore of Lake Erie. Your family will enjoy an easy ride with picturesque views of farmland, waterfront parks and more. 2. Explore nature on a leisurely hike. Niagara has many hiking trails your family can explore together. The Niagara Escarpment provides awesome hiking for families. It’s gentle and scenic and many parts have washroom facilities along the trail, a must for families with young kids! It’s also a UNESCO World Biosphere Reserve, a protected space, with a wide variety of plants, birds, animals and more. Another family hiking option is Ball’s Falls Heritage Conservation area located within the stunning Twenty Valley. Start out at the Ball’s Falls Centre for Conservation and explore the blacksmith shop, pioneer cabin, church and gristmill. Then head on out to explore nature taking in the beauty of Niagara Escarpment and watershed. It’s a little bit of culture and nature in one visit! 3. Ride the trails on horseback. If your children are over age 6, consider horseback riding at Horseplay Niagara. They have several trail rides to choose from including a Family Trail Ride and Beach Trail Ride. Don’t worry if you don’t have experience. They have trails geared for beginners. Your family will never forget this amazing experience! 4. Plan a picnic on Merritt Island. This outdoor paradise is located within the city centre of Welland. After your family has enjoyed a delicious picnic lunch, spend the day walking or biking the tree-lined trails. It also has a playground for the kids to enjoy while parents relax in the sun. 5. Take in some history at Fort George or Old Fort Erie. At Fort George National Historic Site located in the picturesque town of Niagara-on-the-Lake, you can step back in time to the War of 1812. Fort George is the military post that defended Upper Canada against American attacks. The experience comes complete with soldiers in redcoats, black powder smoke and the tunes of Fifers’ and Drummers. Don’t forget to visit the oldest military building in Ontario, the powder magazine! 6. Stroll along the White Water Walk right beside one of the world’s wildest stretch of water, the Whirlpool Rapids. This is truly a “walk on the wild side”! The boardwalk runs a quarter mile and has two observation areas at the edge of the river. Your kids will see how the Great Gorge was created! 7. 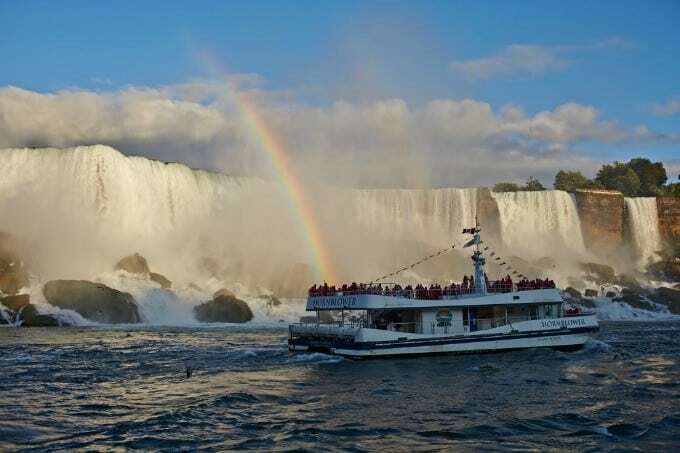 Get up close and personal to Niagara Falls with Hornblower Niagara Cruises. 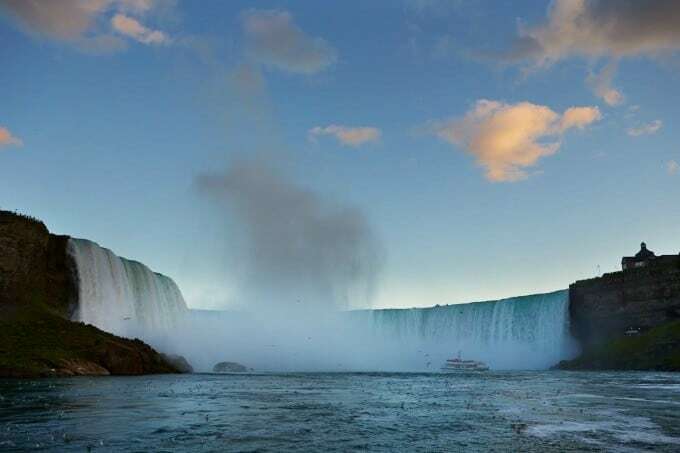 Of course, a visit to the Niagara region would not be complete without checking out the majestic Horseshoe Falls, one of the world’s famous waterfalls. Your journey will begin on a 700-passenger state-of-the-art catamaran for a 20-minute daytime ride right up to the American, Bridal Veil and Horseshoe Falls. This experience is a *must*, in my opinion! Another option is to Journey Behind the Falls where you’ll be able to stand safely in the mist as the Horseshoe Falls tumbles down at 65 km an hour! It involves taking a 45 meter elevator ride down and a walk through the bedrock tunnels to view portals observation and decks at the very foot of the Falls. 8. Visit The Butterfly Conservatory located at the Niagara Parks Botanical Gardens. Discover over 2,000 colourful tropical butterflies among lush vegetation along the 180-metre-long pathway. Watch through the Emergence window as butterflies leave their pupae and prepare to take their first flight. It’s a fabulous opportunity for kids to experience the magic first hand and learn something about butterflies too! I wasn’t joking when I said Niagara has lots of amazing things to see and do with your family! Now is the time to book your springtime family vacation to the region and let the excitement begin. Check out visitniagaracanada.com to plan your itinerary and learn more about the locations I mentioned and discover other activities too. Have you ever visited Niagara, Canada? I’d love to hear about your experience. Disclosure: This post was sponsored by The Tourism Partnership of Niagara. All opinions expressed are my own. We live minutes away…….always something great to do. Biking around is a family favorite! Been years since we last visited the area, really need to go back one of these days. I would so love to visit the Niagara Parks Botanical Gardens, alas I live too far away but all these tips sound wonderful. So much to do, I never knew about the horseback riding, how cool!! the bike trails would be a nice way to take in all the scenery too!! Hope to visit Canada one day 🙂 looks like there are lots of fun activities and places to see… Thank you for the info Stacie. I loved going to Niagara Falls when I was a kid. We had relatives in St. Catherines and we would visit them every summer and end up at the Falls. I never tired of going there, it was always incredible. Our high school band is touring and performing at Niagara Falls and around Toronto this summer. I can’t wait to see these sites! I have always wanted to see Niagara Falls and explore that area. It is on my trip bucket list in one day I will get there, thanks for the post because the ideas of what I can do besides sit in the waterfall. Oh my goodness, seriously breathtaking photos! I’ve always wanted to visit Niagra Falls, my husband has been and still raves about it! I would really love to do the horseback riding with the family. It’s been on my bucket list for awhile but I bet it would be really fun to do in Niagara! I was in Niagara Falls a few years ago. It was an amazing weekend. There is so much to do while you are there. The falls are so beautiful. I have always wanted to go there. I always thought the falls looked so wonderful. This is on my list of places to go too. These photos are so beautiful! i have always wanted to visit niagara falls. all the photos look so amazing. We live about 45 minutes away from Niagara. We make it a point to head out that way 3-4 times a year. There is always something to do.